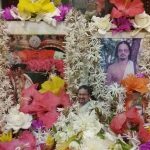 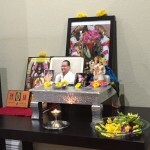 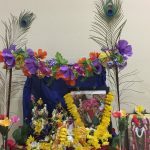 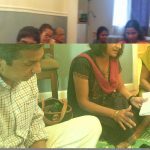 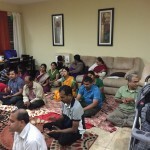 By the grace of Sri Swamiji and the divine couple, Sri Madhuri Sakhi Sameda Sri Premika Varadhan Thakurji, a 4-hour Akandanama was conducted by Orlando GOD Satsang, at the residence of Prajakata ji and Anand ji on Wednesday, December 31st 2014. 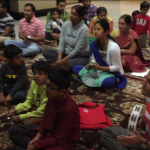 About 20 devotees including adults and kids were immersed in chanting of the divine names continuously for the entire event. 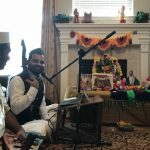 On this holy day, GOD Satsang members humbly prayed to the lotus feet of Sri Swamiji and to the divine couple for expanding Orlando GOD family futher in the near future. 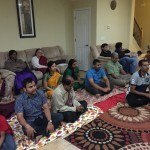 All the devotees were blessed to experience the holy vibrations from the incessant chanting of the Mahamantra. 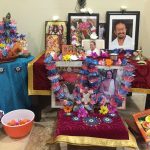 The satsang concluded with prayers to the holy feet of Sri Swamiji for unflinching bhakti and more and more satsangs and to be in his divine service for ever.